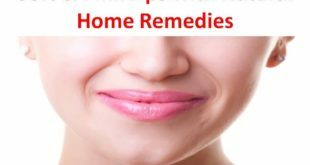 Home / Beauty / How to Get Rid of Dark Spots? 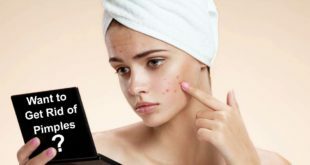 Dark spots are those small spots on the body, sometimes really large, sometimes small which tend to hamper with the natural beauty of our skin. This is the reason why people want to get rid of dark spots. These dark spots can be caused by a number of reasons and the reasons may be different for as per our health and skin type. 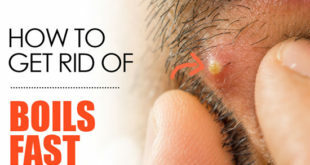 Mostly these spots tend to occur on the face and the upper portion of our body. 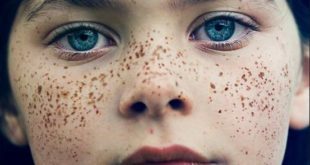 HavenвЂ™t we came across a lot of people, especially with fair skin tone, who have numerous of these dark spots and their body? 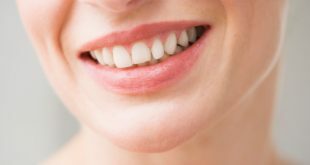 Well, these dark spots donвЂ™t signify a disease or a serious skin issue, but they can sometimes interfere with your confidence levels and make you prone to prying eyes and comments from people. However, the best thing is that today there are numerous methods available to get rid of dark spots. 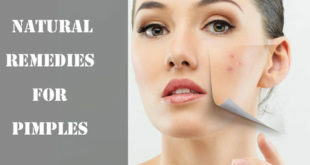 There are all kinds of treatments available, and besides that, there are some really easy and simple remedies which can help you get rid of dark spots easily at home and are the best natural remedies. Dark spots are dark skin patches on the which are also known as brown spots, age spots, sun spots and liver spots. 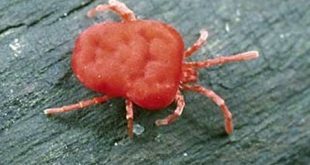 Mostly these appear on the face, shoulders, arms, or back. They can be in the colors of gray, brown or red and these factors may vary for different skin types. When the skin is exposed to the sun, it causes an increase in the production of cells known as melanocytes that increase melanin in the skin thereby making the skin darker. These spots are usually harmless and may vary in size. Castor oil is one of the most effective remedies and one of the best oils to get rid of dark spots. It is easily available as well and really helps to provide a lot of comfort to any kind of damaged skin part as well. It has strong healing properties and has been used in a lot of skin conditions to repair the skin. Here to simply get hold of organic and pure castor oil, make sure itвЂ™s of good quality as there are many varieties available in the market. Soak a cotton ball in castor oil and then apply this to the affected area. Massage in circular motion for a few minutes till the oil penetrates the skin. Leave it for some time and then wash it off. You can repeat this process once in the morning and once in the evening to get rid of dark spots really fast. Aloe Vera is one of the best natural ingredients you will ever use to get rid of dark spots really quickly. It is one of the best items to heal your skin and to repair the skin against any kind of damages. ThereвЂ™s really nothing like Aloe Vera and even doctors swear by its excellent medicinal properties for getting rid of any skin condition. It is beneficial for skin regeneration and is one of the best things you will ever apply to your skin for this purpose. Here simply cut an Aloe Vera leaf and apply its gel on the skin. Leave it on for about 30 minutes and then wash off with cold water. Do this twice daily to get rid of dark spots naturally. If you donвЂ™t get a natural leaf of Aloe Vera, you can also buy Aloe Vera gel from any chemist shop and use it for this purpose. Lemon juice has a high content of citric acid, which works really well in diminishing the dark spots and in removing any kind of spots or blemishes on the skin. 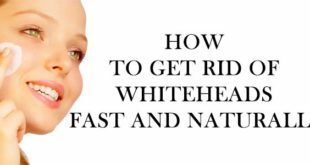 It is one of the easiest and safest remedies to get rid of dark spots and has been adopted by a lot of people who suffer from dark spots. 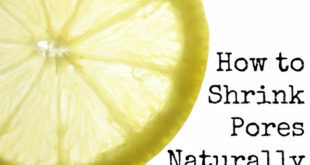 Lemon juice has natural bleaching properties and it also helps to maintain soft, clear and beautiful skin. Here you can simply rub a little lemon juice on the affected area and leave this for at least 30 minutes and then wash off with cold water. Do this twice daily. 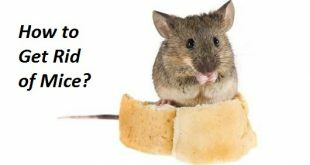 You can also add a little rose water or honey to it. Alternately, you can take a little lemon juice and add a little sugar to it and then rub this paste on the affected area. Leave it for a few minutes before washing off with cold water. Do this a few times a week to get rid of dark spots really quickly. Buttermilk contains lactic acid that helps to exfoliate the skin and removes blemishes and dark spots without drying the skin. It really helps to get rid of dark spots quickly and is one of the safest remedies to use here. Simply apply buttermilk directly to the affected area with the help of a cotton ball and then leave it for a few minutes before washing it off with cold water. You can add a little lemon juice to it if you have oily skin. Alternately you can take 4 tbsp of buttermilk and 2 tsp of tomato juice and then apply this solution to the affected area. Do this once or twice daily to get rid of dark spots. Papaya is one of the best fruits you can use for this purpose. It really helps to get rid of dark spots besides helping to even out the skin tone and giving it a natural sheen. Certain enzymes and alpha hydroxy acids present in papaya help exfoliate your skin and reduce age spots, acne, skin blemishes and other skin problems. It gives your skin a cleaner and brighter look. Here just grate a little papaya and use 1 tbsp of the grated papaya to apply on the affected area. Leave this on for about 30 minutes and then wash off with lukewarm water. Repeat this twice daily till the brown spots go away and you get rid of dark spots completely. Sandalwood has long been used in a lot of skin treatments and it really helps to cool off the skin and helps to heal any damaged skin cells. It is like the best natural medicine you can apply to your skin. It is an anti-aging agent and an antiseptic that helps to reduce pigmentation and helps to get rid of dark spots really quickly. Here simply make a paste of two tablespoons of sandalwood powder, two teaspoons of rose water, and one teaspoon each of glycerin and lemon juice. Leave it on the spots and allow it to dry before washing off with cold water. You can also mix one tablespoon of orange juice, one teaspoon of lemon juice and the contents of two vitamin E capsules and add these to two tablespoons of sandalwood powder. Mix all these well and then leave it on the skin for a few minutes before washing off with lukewarm water. Do this a few times a week to get rid of dark spots faster. You can also massage the area with a few drops of sandalwood oil mixed with a little olive oil or almond oil and leave it overnight to let the spots fade away. One of the best natural things you can use from your kitchen to get rid of dark spots is plain yogurt. Due to its mild bleaching properties, yogurt is safe and easy to use and keeps your skin glowing as well. Here you can simply take some yogurt and apply it to the affected area. Leave it to dry off and then wash with cold water. You can mix one tablespoon of plain yogurt with two tablespoons of oatmeal and one teaspoon of fresh lemon juice. Apply this paste to the skin and wash off after 30 minutes with some cold water. 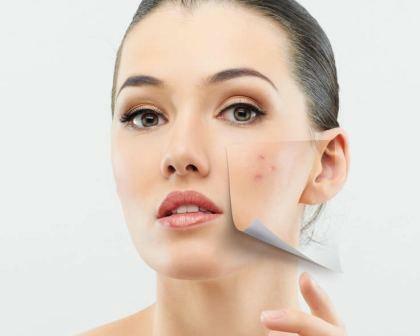 Do this once or twice daily to get rid of dark spots effectively. 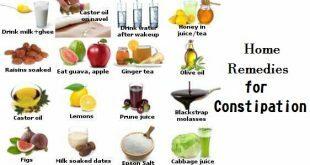 Onion juice is a really good remedy to get rid of dark spots and has been used by a lot of people who have suffered for along because of the dark spots. You may not like it because of the strong smell of the onions, but let me tell you if you use onion juice, you certainly wonвЂ™t look back from it. Its acidic nature and bleaching property work really well to help the dark spots to fade away from the skin. Here you can simply slice an onion and then use the sliced pieces to rub on the affected area at least twice daily. 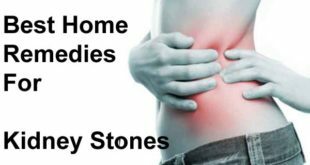 You can also take one tablespoon of onion juice and mix it with two tablespoons of honey and then apply this to the affected area. Leave it for at least a few minutes and then wash off with some cold water. 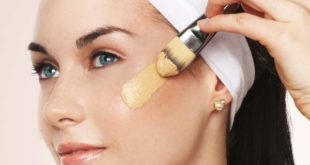 Do this once or twice daily for getting rid of dark spots naturally. Apple cider vinegar works well for getting rid of dark spots. It has been used as an effective remedy for a lot of skin problems and helps to dry out and fade the spots faster. Here dilute some apple cider vinegar with an equal amount of water. Add some honey as well to this. Apply this solution on the affected area and wash off with cold water after leaving it on the skin for some time. You can use apple cider vinegar directly as well if you are ready to tolerate its strong smell. Alternately, you can mix one-half teaspoon of apple cider vinegar to a few tablespoons of orange juice. Then apply this to the affected area. Wash this off after the solution dries off. Repeat these treatmentsвЂ™ once or twice daily for about four to five weeks to get rid of dark spots quickly. Horseradish is a fantastic herb that helps remove age spots and freckles and makes your skin spotless because of its amazing skin lightening properties. Here you can simply take a horseradish and make a little paste out of it. Apply this paste to the affected area and leave it on the skin for a few minutes before washing it off. Use it a few times a week. You can also grate four-inch piece if horseradish and mix this in one-quarter cup of apple cider vinegar. Allow this mixture to sit for two weeks and then use a cotton ball to apply to the skin. Do this at least thrice a month to get rid of dark spots magically from the skin. Vitamin E oil works well for getting rid of dark spots completely from the skin. The oil has been known for ages to treat various skin problems and the problem of dark spots is one among those skin problems that can be easily treated with Vitamin E.
Here you simply buy a bottle of vitamin E oil and apply it on the skin or take the oil from vitamin E capsules and then apply this oil on the skin. Massage it well in a circular motion and make sure it penetrates into the skin. No need to wash this off. Apply twice daily to see magical results after a month. You will notice how the dark spots fade away and gradually vanish completely from the skin. Potato works really well to get rid of dark spots permanently and is one the best vegetables you can use for this purpose. It has natural bleaching properties and has been used in a lot of skin treatments to heal the skin and to get rid of any skin ailment. Simply slice a potato and use its slice to rub the area at least two to three times a day. You can also grate a potato and apply its juice, one the affected area mixed with a little lemon juice in it. Leave it on till it dries off and then wash off with some lukewarm water. Do this at least twice a day for about a month to see some amazing results on the skin. DonвЂ™t you worry if you have dark spots. 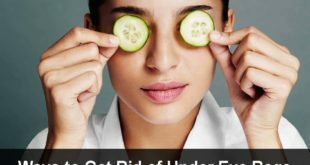 The above ways are easily available in todayвЂ™s time to help remove these dark spots from your skin in the best possible manner. Opt for the one you trust the most and get benefited. 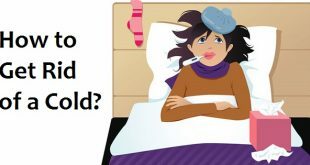 Previous How to Get Rid of Fever? 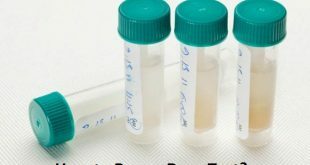 Next How to Pass a Hair Follicle Drug Test?